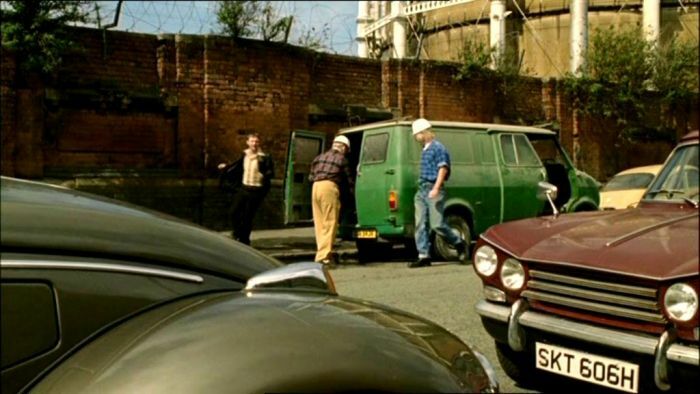 IMCDb.org: 1969 Triumph Vitesse 2-Litre Saloon Mk2 in "Life on Mars, 2006-2007"
Sorry to correct, but that van is Bedford CF, not Transit. Désolé, la fausse manip c'est moi. Excellente hypothèse d'Antoine. Je ferai fois la prochaine mieux. As you say the green one's a Bedford CF - my slip. Probably the one seen in ep5!